Do have old, unwanted items cluttering up your home that you just no longer want to deal with? Have you been contemplating getting rid of this junk and clutter for a while, but just don’t know where to begin? If this sounds like you, or anyone you know, don’t fret any longer. 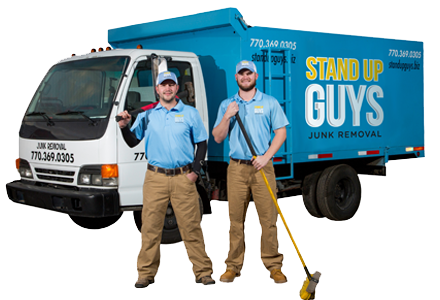 I have the perfect solution to all of your junk and clutter woes; The Stand Up Guys Junk Removal Crew! 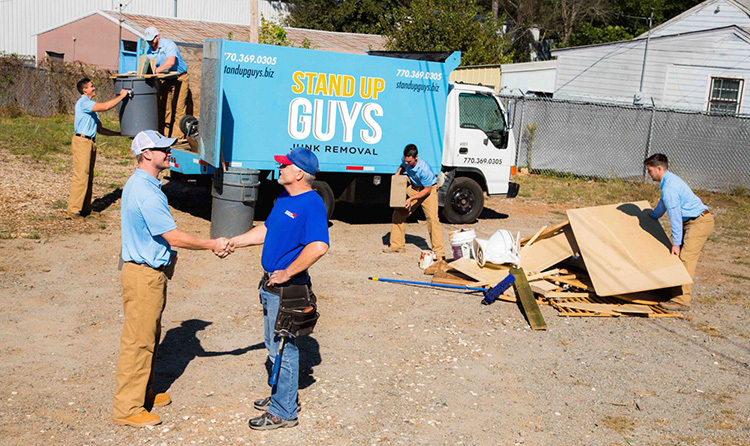 The Stand Up Guys are the finest junk removal and hauling service in all of Chapel Hill. 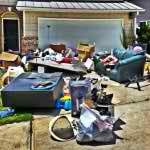 We can assist you with any type of junk, clutter or debris you need to get rid of. 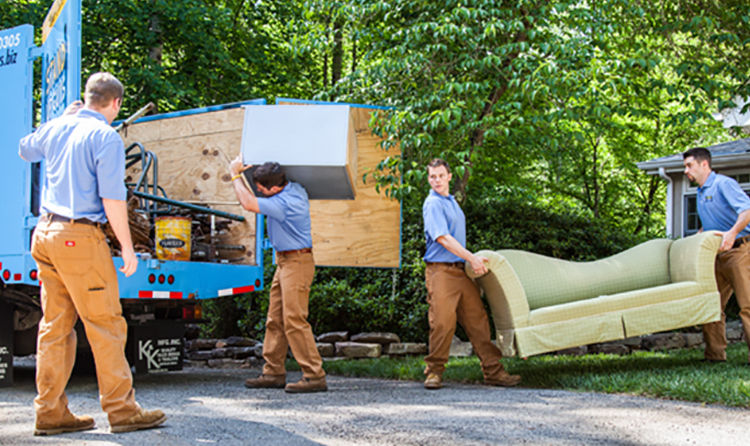 It doesn’t matter if you have a garage full of old furniture, a lawn filled with yard debris, or just one or two pieces. We’re here to help you with everything, and make your life a heck of a lot easier. 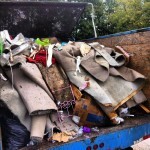 In Chapel Hill there is no other junk removal service that compares to that of The Stand Up Guys. We’ve earned a stellar rapport with the residents and businesses of Chapel Hill over time due to our constant efforts towards perfection in customer service. Our customer service and customer care is second to none. We ensure that all of our customers get exactly what they want and are WOW’d with every experience. Chapel Hill is one of the most beautiful, historic cities in all of North Carolina and even the Southeast United States. The rich history of America runs deep in Chapel Hills roots. You can feel the tradition and patriotism just by stepping foot in Chapel Hill, or even when taking a stroll through the amazing campus of The University of North Carolina, which is located in the heart of Chapel Hill. Chapel Hill is Orange County‘s largest city, and is also North Carolina’s 16th largest city. Chapel Hill, along with Durham and Raleigh, make up the three corners of the famous ‘Research Triangle.’ It got the name ‘Research Triangle’ back in the 1950’s because of the amount of high tech companies and enterprises in the area, as well as all the amazing colleges. Chapel Hill’s, University of North Carolina being on the forefront of that. The Chapel Hill area as a whole has been growing rapidly over the last 20 years. The word has really gotten out there about how great of an area it is, and the people are flocking there. The population has ballooned to well over 60,000 people in the last few years and there are more than 20,000 homes and counting. 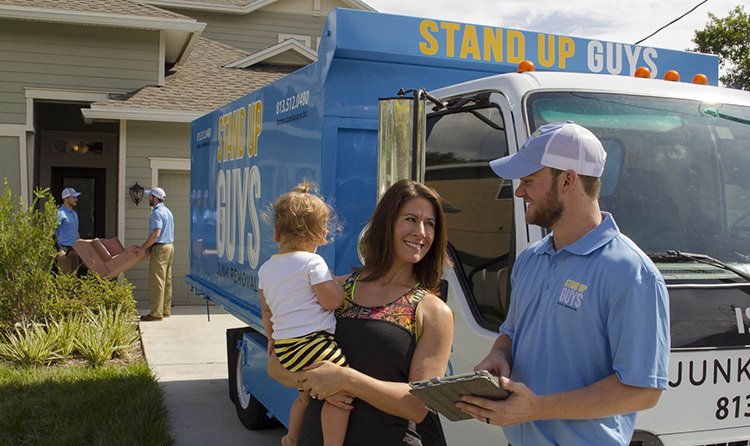 All of which The Stand Up Guys Junk Removal Crew service.